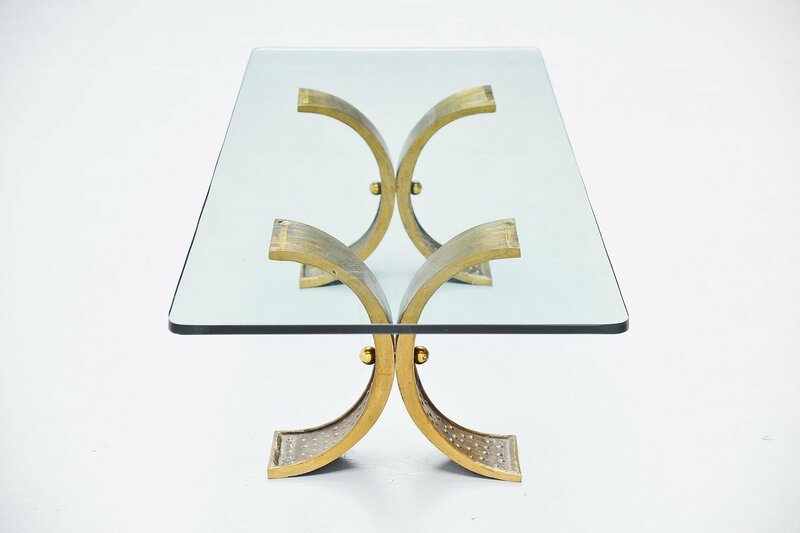 Nice large sculptural coffee table made in France 1970. 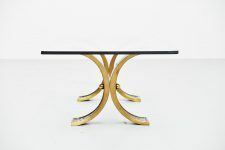 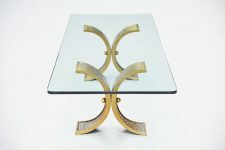 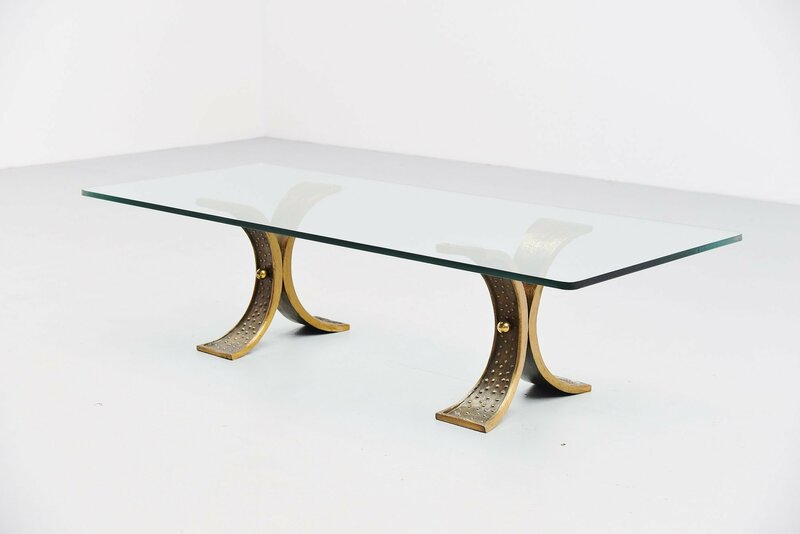 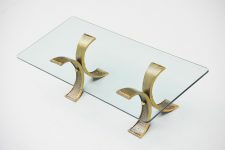 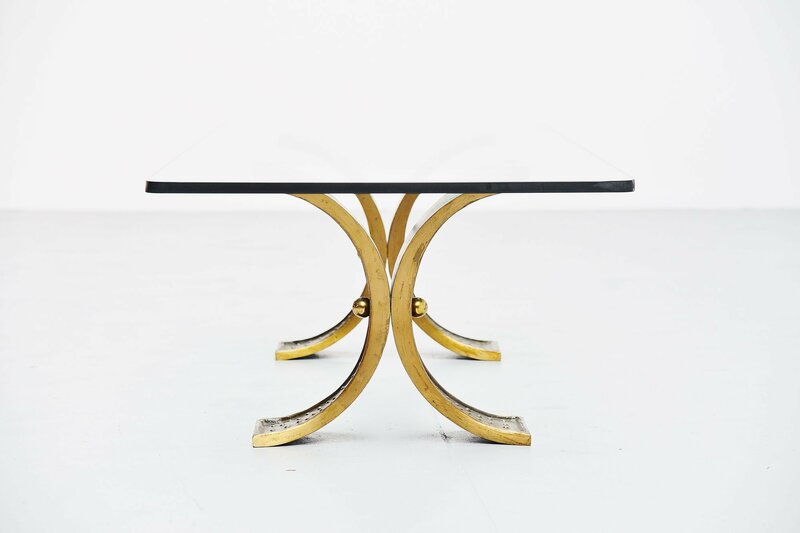 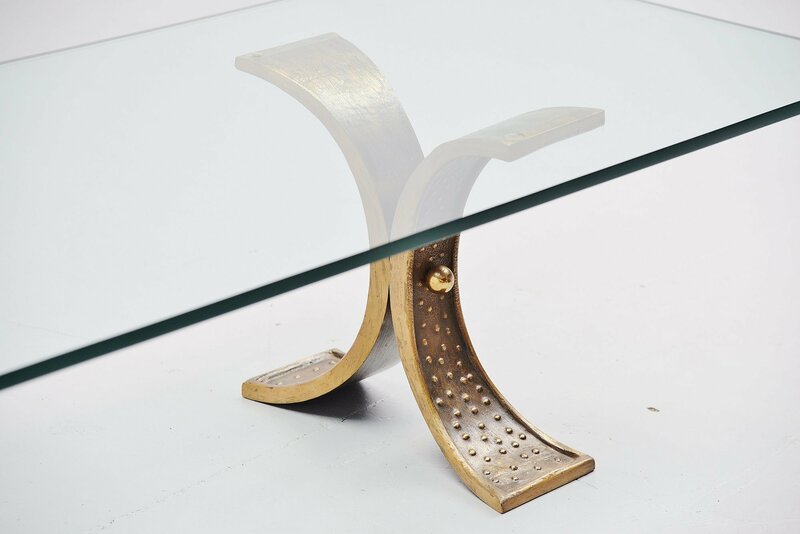 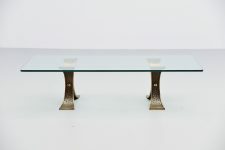 This table has heavy solid bronce sculptural feet that support a thick glass rectangular top. 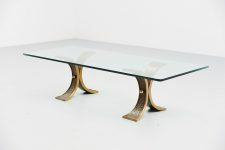 The table is made by unknown designer or manufacturer but this shows quality all over. 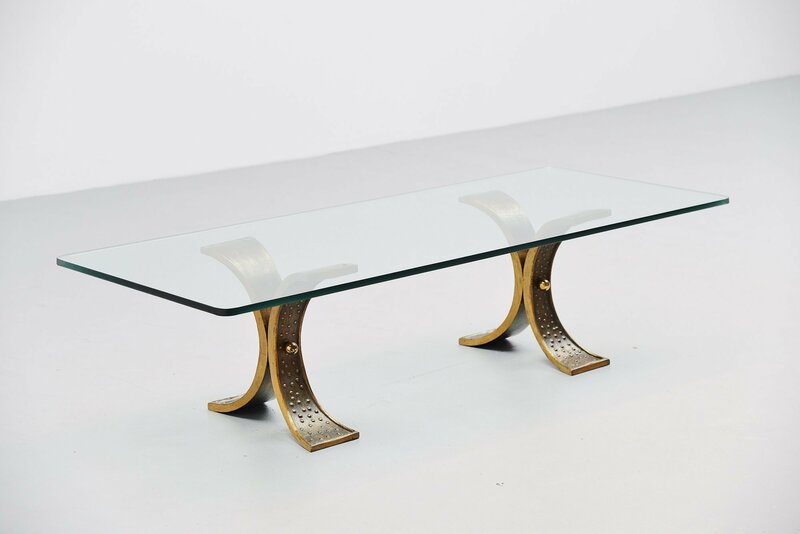 I think the feet weigh about 20kg each. 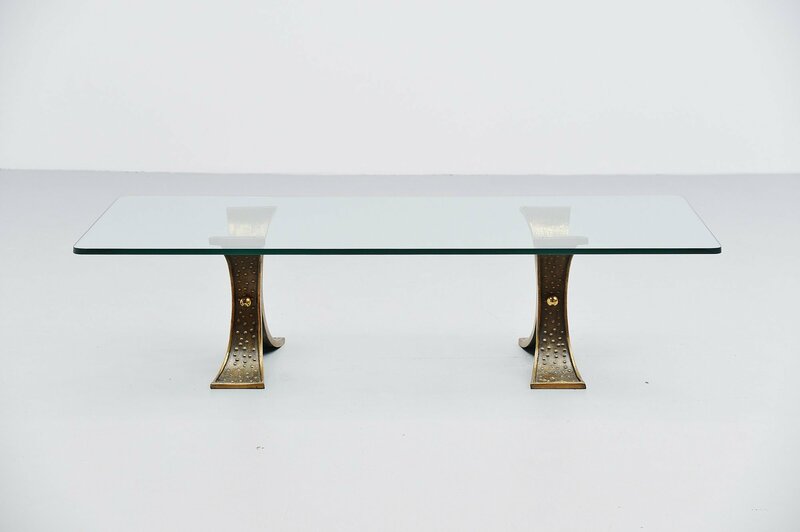 The glass top has surface scratches but its a loose top so this can be replaced for something else easily if wanted. 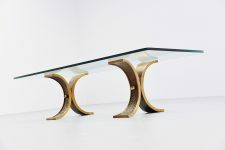 Nice and decorative coffee table.